Remember in the movie "Devil's Advocate", with Al Pacino and Keanu Reeves, the scene in which Keanu’s character yells: "Lose? I don't lose! I win! I'm a lawyer, that's my job, that's what I do!" I feel my clients respond to me in the same way when I encourage them to go to failure on each exercise during training sessions. They refrain from getting there because they want to be the “perfect trainees” and finish each repetition that I ask them to do. In other cases, it is the fear of "working too hard" that gets in the way. Do you fear training hard? Most people fear training hard because they are afraid of getting injured or they don't really want to push their body to the level of fatigue that failure requires. But what if I tell you that by training to failure once or twice a week for 30-45 minutes, your body is going to develop more strength with a smaller time commitment? Plus, moving slowly is safe and minimizes the risk of injury. I know, I know, this takes a big leap of faith, but don't just believe my word, try it out for yourself. Schedule a complementary initial consultation with me and experience the workout. You will experience results you never thought or imagined could be possible after only 6-12 sessions. Since then, I have been thinking: how much of our mind "lives'" in our body? The book "The Body Keeps the Score" has been a great resource for me during the last several years. In his book, Bessel Van Der Kolk, "uses recent scientific advances to show how trauma literally reshapes both body and brain." I often remind my clients while training them to connect with their muscles during each exercise so they can experience better results by activating the neuromuscular connections and pathways. How many times have we heard the line: "it's all in the mind"? I've learned that it is not the same to be in your body as it is to be IN your body. If we believe that the mind is also in the body, how much stronger will we feel, while creating new healthy habits or simply while exercising? 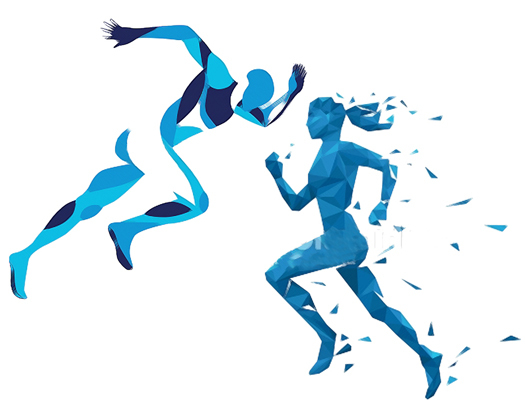 Here is a little challenge: the next time you exercise, go "inside your body." That is, mentally try to connect with the muscles you are working on. In each of your exercises, try to feel them contracting even more than you need for the resistance against them. In my experience, we are stronger than we believe, but our minds try to convince us of the opposite. Feel the mind inside your body and let it help you be the strongest YOU that you can be. If you cannot tolerate being out of shape any longer and you think you don't have time to exercise, during the month of February I am giving you discounted gift certificates. Click here to schedule your appointment and to get your gift certificate. trying to break free from? The Ballerina represents the Light, or our conscious selves. challenges us at every turn. My goal is to help as many people as possible to achieve a committed healthy lifestyle for themselves. That doesn’t mean a cookie-cutter approach but a process to help you figure out for yourself what will work best for you to keep in the long run. I train and coach people in person and online so wherever you are, we can work together. My invitation is to schedule a 30-minute complementary strategy session with me. Much love and to a healthy and successful 2019! I wish you and your loved ones a healthy, happy and prosperous New Year! People use the illusory beginning of the calendar year as an opportunity to make resolutions that would lead to greater health, happiness, and prosperity. The most common New Year’s resolutions are to get more exercise and eat healthier. But, according to U.S. News, approximately 80% of new year’s resolutions fail by the second week of February. I often get asked what exercise is best. And what food is best for you. And how can you keep to your resolutions for the whole year. The best exercise for you is the one you can stay committed to that also brings positive results. I moved to San Diego from New York six years ago. My first client stated at our first session that his main obstacle to achieving his fitness goals was commitment. Six years later, he is still training with me twice a week and he has missed very few sessions during our years of training together. He was just asked by a massage therapist if he was a retired ball player, which he considered a great compliment. Throughout my years as a health coach and personal trainer, clients have reported improved health at their yearly physicals: lower cholesterol, lower blood pressure, Diabetes Type II under control, and so on. They have also experienced dramatic improvement in how they look and see themselves. Two of my clients in their early 50's, one male and one female, one working in person and the other online, say they are in the best shape of their lives. Other clients who joined my 21-Day Cleanse last January report they have been able to change their eating habits and develop a sustainable healthy lifestyle that has continued all year! My goal is to help as many people as possible to achieve a committed healthy lifestyle for themselves. That doesn’t mean a cookie-cutter approach but a process to help you figure out for yourself what will work best for you to keep you motivated for the long term. I will be changing my price structure this year and before I do I want to extend an invitation to old clients, friends of clients, and new potential ones. My invitation is to schedule a 30-minute complementary strategy session with me. At the very least I can be your mirror to reflect your needs and figure out what, if any, changes you’d like to see in the new year. To schedule this free consultation, click here. Much love and wishing you a healthy and successful 2019! This is one of the best presentations I have seen about the method of training we practice: HIT (high intensity training) SuperSlow style. Worth watching or listening for 30 minutes. Great piece to share with friends, business colleges and family members that you think will benefit from the technique. This is always by far the hardest subject I write about. How can I advise about a topic I struggle with day in and day out? Although I have to admit I have become so much better at it during the last few years by "training my mind," following a daily routine and connecting deeper with the part of myself that truly matters the most. In addition, I believe that when I trust in God and the Universe and learn to "go with the flow" of things as opposed to forcing them, all works out in the end exactly the way it is supposed to be. Some of us, like myself, juggle relationships, friends, colleagues, work and even children every day! Now add to that the diverse mix of stimulation that comes to us through our phones, computers, media, etc. It's the perfect concoction of stress! So what do we do? First off, I believe exercise is the best antidote. 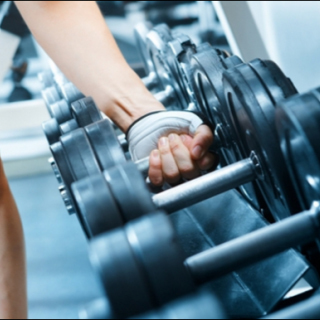 Exercise increases endorphins, the "feel good hormone." That's why after exercise we feel this "high" or being "in the zone." The high lasts for a few minutes and sometimes hours, but the benefits of increased endorphins may last for days. Apart from increasing endorphins, exercise makes us look better and looking better is a big component of a healthy self-esteem, which is crucial as a stress reducer. Feeling better about ourselves will make us feel more in tune with our "higher consciousness" and is a long-lasting way to achieve calmness in life. Listen to your body: if your body is asking to rest don't overdo it; your health is the most important asset you have so don't sacrifice it for trying to make it to that finish line. Get up and walk: basic physical movement is a simple way to reduce stress. Try something new: massage, yoga, acupuncture, Reiki, breathing techniques, meditation, praying. Yoga and sleeping: there are several yoga poses that can be done in your home that will help you relax and breathe more easily. Try getting to sleep by 10 p.m. for a good nights sleep. Let's Get Clean: 21-Day Cleanse Starts Monday! I have been facilitating Volar's 21-Day Cleanse for one year now, and I'm proud to say the results my clients have been experiencing have exceeded my expectations! Some of them include: lower cholesterol and blood pressure, fat loss that's been maintained for at least one year, reduced inflammation, increased energy and focus, to name a few. The 21-Day Cleanse starts Monday, October 1, 2018. The 21-Day Cleanse is not a fast track to weight loss. Rather, it's a "reset" to your body, through cleansing your digestive system and a sustainable approach to adopting healthier eating habits that last you a lifetime! * People will say that you are glowing and that is the leanest you've ever looked! I had the immense pleasure last month to attend the "Art of Feminine Presence Retreat" on the Big Island. While doing some really deep "shadow" work, we also enjoyed the beautiful island landscape, long swims and the amazing energy on that side of the earth. While the volcano was erupting big time, we were surrounded by the peace and beauty of the beautiful island and the quiet elegance of 30 Japanese women that attended the event. This experience reminded me that I am always stable, and I can access that inner stability anytime, regardless of the fast-paced life swirling around me. And it's true for you, too: At your core, you are not moving. The movement happens outside of you, and your internal calm can always be accessed. I attended this retreat with my good friend and amazing marketing mentor Rebecca Massoud. We had an incredible time together sharing stories, swimming with turtles and watching the Royal Wedding happening that weekend. But the best part was the last day when we visited a "lava cave" near our resort. 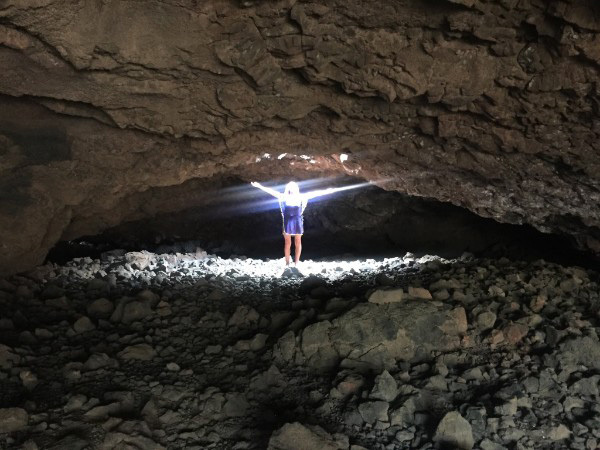 They had explained to us that you can see your "aura" reflected in a picture when standing at a certain point of the cave under natural sky light. We went and here is what we discovered. Our auras are white, blue and purple, shooting from our arms, heads and center bodies; what an astonishing visual. I hope these photos inspire you to hold hands with your darkness and Step Into Your Light. Because I believe the "volcanoes" of life (which often show up as addictions to food, drinking, screen time or overdoing) will always be there, reminding you to stay alert & present when they are erupting and move with care so you don't get burned by the lava. To support you in your healthy, happy journey, I invite you to join me for my "Step Into Your Light" 12-week class, where you will have the opportunity to let go of unhealthy habits that no longer serve you and embrace the real YOU--the stable, calm presence within. Get details and sign up here. How to Jumpstart Your Workout Routine for Spring! "What can I do to jumpstart my program? I have gained a few pounds and would like to get rid of them as soon as possible." Clients ask me this question often. How do we jumpstart a car when the battery is gone? We need tools and help. But why do we need to jumpstart a car in the first place? Because the battery has run out or we forgot to turn off a light or other vital switch. Isn't that often the same reason why we need to jumpstart an exercise or nutritional program? Because we have exhausted ourselves or forgot that we left the appetite light switch on. Now seriously, what can you do? I am not big on liquid fasting but perhaps first cleansing your body for one week before a one-day liquid cleanse might work well for you. There are some new techniques such as cryotherapy and vitamin/mineral shots if you are willing to try some new things that might help you. A new gadget called "FasciaBlaster" is getting a lot of attention among women. But let me ask you: Do you prefer if your car runs smoothly throughout the year or if you have to jumpstart it or take it to the mechanic often? I think the answer is clear; we would prefer it to run smoothly just like our bodies. Most of us have business plans, financial plans, even life plans but how many of us design a health plan? Health is wealth, it is our higher treasure, without health we have nothing but we often forget to make it a priority. I am passionate and committed to helping people create and maintain a health plan that can last for a lifetime. It starts with movement, good nutrition, and stress management. I invite you to our ongoing group online class every Monday & Wednesday at 3 PM to jumpstart your program. Sign-Up & Pay for 2 Months and get 2 classes for FREE. Get Details and Sign Up Here! While driving down Highway 101 in my convertible Beetle this afternoon, the memory of a newsletter a few years ago came to mind. I remembered the excitement of that activity during one of my first trips to California and was filled with a sense of accomplishment and content. First, lately life feels like driving a convertible on the 101 every day and secondly, work is just fun and I am so incredibly blessed to have a positive impact on other people's life more than ever. This year has been an amazing learning experience and one of growth. Recently I learned at a women's conference that "Your comfort will get bigger as you develop your growth zone". Staying flexible has been a very rewarding challenge. For example: announcing that my newsletters will be sent every new moon but allowing the flexibility to send them on another day if the content, day of delivery, and other circumstances deem it appropriate to make that decision. The transformation my clients experience has been a very humbling process; they report feeling stronger, leaner, and more confident and powerful. Even allowing themselves to express their emotions through tears. Not that my goal is to make my clients cry, but the fact that they open themselves up to express those feelings makes me realize how deep my work has become and therefore how meaningful. Improving my clients lives, makes me feel like a happier person. December is always a special month for me: not only is this the most festive and fun month of the year but it is the completion of another one. And, it is also my birthday month! It always seems that December is the month that moves and goes faster: between the Holiday celebrations and parties, the commercial buzz, and the fact that it seems that time is running out as the year is coming to an end. The energy around us feels stronger. Many of us look forward to January in order to reset and reestablish our goals and routines. Last year I remember I had a pretty mellow end of December and a very relaxing and grounding beginning of 2017. As I look back, I realize how far I've come and all the changes that have made me who I am moving into 2018. The biggest change has been developing a strong spiritual practice and routine and making it a priority in my life, even on the busiest days. This spiritual practice is the result of realizing that there was a part of my life that needed change. There was a disconnection from who I really am that required a shift in order to get to that more deeper and intimate connection with the biggest questions in my life: "Who am I? What do I really, really, really want? What is my purpose? What am I grateful for? ", questions I was reminded in part during a meditation retreat at the Chopra Center a couple of weeks ago. My intention with sharing the routine I created for myself with you is to let you know that no matter how busy you feel you are, prioritizing what matters most is the deepest exercise on growth and self-care. As my friend and intuitive master Shawna Allard (author of the book "Knowing") will tell you, you will be looking forward to your meditation time, nothing will beat it. "We are spiritual beings having a human experience." I keep hearing this quote everywhere, especially from my friend Dale Bach. How often are we aware of this? How often do we actually believe it? The only way to really grasp this concept is by practicing and growing your connection with it. As a dancer I used to be guided by the "practice makes perfect" idea. Now I'd like to change it to "practice makes present" as my daily goal. I would like to share a new article that just appeared in an issue of Time magazine. It is dedicated to new exercise research and specifically highlights how HIT (High Intensity Training) is a very effective and efficient method of exercise. Last month I attended a mindfulness workshop facilitated by Jim Cahill, an expert researcher and teacher in the mindfulness field held at the amazing Fairmont Grand Del Mar Hotel. Not only did he share research that shows why meditation is beneficial to us but he also demonstrated it using one of the participants interacting with a biofeedback machine. This machine shows that when we are meditating and mindful our heart and breath work in unison but when we are not, it almost looks like they are fighting against each other. This lecture inspired me to create a structured protocol for mindful exercise.